God is always present. He’s most often found in the stillness of the heart. That gentle whisper...that’s Him. I hope this speaks peace into your soul. You are loved, dear friend. 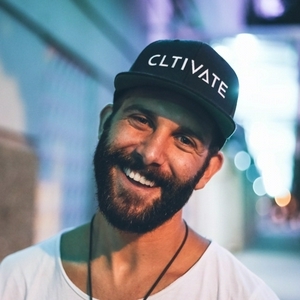 Follow me on Instagram (@zackgudzan) or visit CLTIVATE.com to learn more about and support this mission. I’d like to encourage you to remove all distractions, close your eyes, and reflect on this message. There’s no better use of your time than to spend it with the Lord. My prayer is that He will speak to you, and that you will hear Him. God longs for relationship with you. He made you for relationship. You are His precious son. You are His precious daughter. You are royalty. Jesus has already paid the price for your freedom. Acknowledge this truth, and you will be free indeed. ***Reach out on Instagram - @zackgudzan. I’d love to hear from you!!!! How to resist temptation, overcome addiction, and walk in freedom. 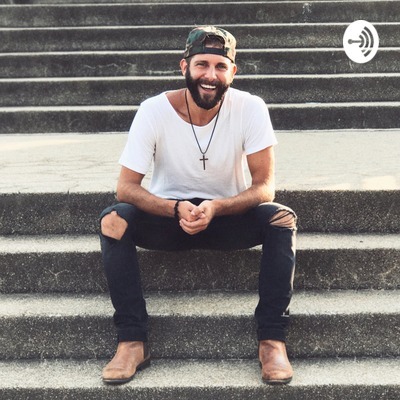 My hope is that God will use this podcast to speak life into your soul, and that you’ll be richly blessed through a new life in sobriety. I love you so much! Follow @zackgudzan on Instagram, and be sure to leave a 5-Star review of this podcast. It helps a ton!!!!!! I love social media. It also drives me insane. The other day, I caught myself mindlessly scrolling through Instagram, and the Holy Spirit called me out. Have you noticed our generation becoming more mindless and less mindful? Does God have anything to say about this? Is there a way to use social media for good? As always, please message me on Instagram @zackgudzan and let me know you listened to this podcast. It would mean a lot to me! This message is rooted in John 12:23-30. It’s about what to do in the darkest hours - how to handle the situations that baffle us. I cannot encourage you enough to get in the Word and begin to ask God for wisdom. There’s so much more to life than the world around us. Jesus is everything. Feel free to send me a message on Instagram: @zackgudzan. If you’d like to support this non-profit ministry, please visit CLTIVATE.com - I’m eternally grateful for you. Much love! Why doesn’t God answer our prayers immediately? Hopefully this podcast will shed some light on that question. Please visit zackgudzan.com to support this ministry. I love you!!! This is what truly matters. God wants your heart. Just wanted to share a bit of my story, and what helped me transition from a suicidal addict to a happy man, walking in grace and sobriety. Hope it helps someone! Where to even begin? Our churches have empty rooms, while homeless people are on the streets. I’m doing the math, and it just doesn’t add up. It’s time for change! Using my current struggle to help others, and realizing that it’s all a blessing. After being homeless for 8 straight months, I’ve decided to use this experience to help other homeless people. What’s the greatest need? A place to call home. That’s what The Recovery Church is, and I’d love to see you there. Visit zackgudzan.com or catch me on Instagram @zackgudzan - please support this mission! Today, I let fear get the best of me. Here are my thoughts on that - how to stay strong in the presence of fear. The Lord has called me, and I must go. What’s the point of all this? Like...what actually matters? How can I make the most of my life? Just today’s reflections from an AA meeting, and thoughts on the voice of God and the way He works through every single one of us. It’s time to stop pretending everything is fine. And stop thinking tomorrow will be different - while doing the same things today. It’s time for change, and here’s how to invite change into your life. We live in a world of overwhelm. So much to do, so little time. Yet...we do nothing. What’s that about? Does overwhelm cripple you sometimes? God puts dreams in our hearts for a reason. It’s His will - and it’s up to us to carry that out. Got to serve the homeless in Venice Beach today. And it was awesome. What if that kind of love became normal for us, and not just “volunteer work”? I went to A.A. to learn how to stop drinking. What I got in return...was my life. 👊 — thank you for listening to this podcast! Be sure to subscribe to this podcast so you’ll catch every update, and feel free to add me on Insta: @zackgudzan - much love! After a few weeks of “blah”, I felt myself light up again today. Being back on the road is giving me that inner drive (pun intended), and I freaking love going West. Here’s to gratitude, kindness, and all the things that make us smile. When God says go, you go. The time has come to hit the road and share this mission of faith, hope, and recovery with the world. You can support us at gofundme.com/cltivate - and please pray for us! I'm a people pleaser. I love people. I get my energy from surrounding myself with positive people. But sometimes living like that affects my productivity. I have to learn to say no to things. Enjoy! Prayer saved my life, and it can save yours, too. There's infinite power in God's love, and prayer is the place where I get to experience that love. I encourage you to hit your knees in prayer today! Here are the 7 Core Values I live by. These 7 Values changed my entire life - my perspective, my attitude, my relationships, everything. Hope it helps you in your journey!! When the anxiety sets in, or you're feeling burned out and "blah", you need to ask yourself a question: "Why am I alive today?" If you can answer that, with God's help, you will find that fire again. Unpacking my journey through alcoholism, depression, drug abuse, and suicidal thoughts. What led me to start CLTIVATE, and what this non-profit movement is all about!